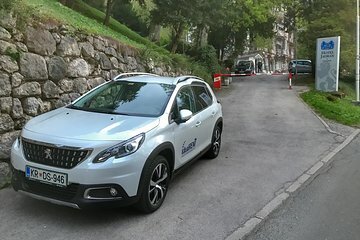 Se mere af Slovenien udenfor hovedstaden på denne privatdagsrejse fra Ljubljana. I et privat køretøj til op til tre passagerer kan du udforske landet og andre byer på en fleksibel rejseplan. Besøg steder som Lake Bohinj eller Kranjska Gora, som du lærer om regionen fra føreren. Dejan is the best driver you could wish for. He knows Slovenia and the region like the back of his hand and will share all the good insider tips he is particularly knowledgeable on the regions best restaurants and wines. He is very flexible and will do his very best to meet your expectations and will wisely share recommendations to avoid tourist traps or to find shortcuts. He has a warm personality and will make the trip a pleasant ride. I took this trip at the beginning of February under massive snow and we managed to see everything I wanted in an optimal way. Do not hesitate to book his services.